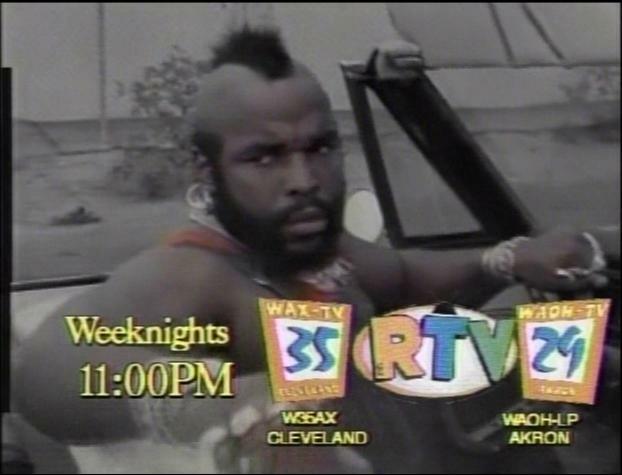 WAOH TV-29 in Akron / WAX TV-35 in Cleveland (“The Cat”) stuff. 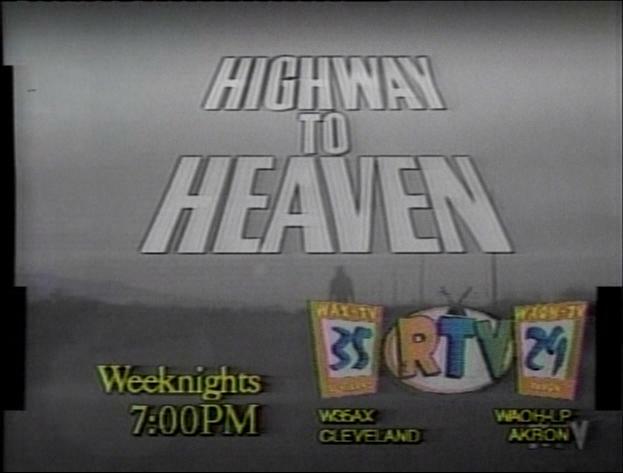 In the late-90’s and early-2000’s, one of the most important channels for me was WAOH TV-29 in Akron / WAX TV-35 in Cleveland, better known as “The Cat” (Cleveland-Akron Television, dig?). 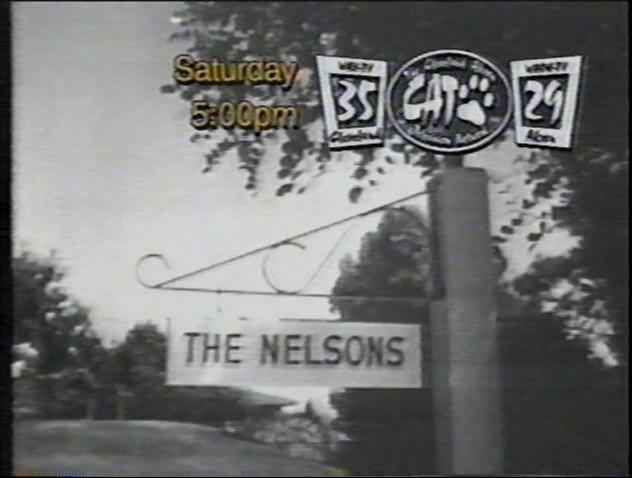 Both 29 and 35 were the exact same channel, so I’ll simply identify it as The Cat or WAOH. There’s surprisingly little info about the station on the internet, and someone I was talking to once exhibited some interest at the fact I had recorded a number of programs off the station (believe me when I say I taped a lot of stuff). What made the channel so special to me was the sheer number of ancient movies, old TV shows and local content they played. Granted, the majority of the movies and TV shows weren’t actually owned by WAOH, but was rather syndicated content from the America One Network, but the fact remains that The Cat ran things you weren’t going to find on ANY other channel. 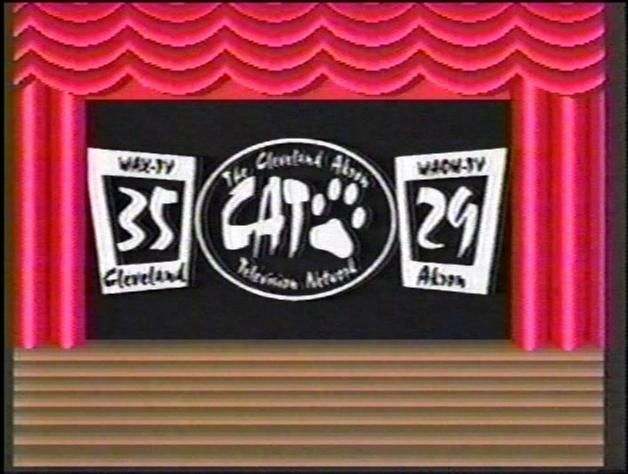 And all of the local programming (which naturally had nothing to do with America One) gave The Cat a terrific Northeast Ohio flavor. Furthermore, despite the A1 affiliation, this was really an honest-to-goodness independent station, something that (unknown to me at the time) was becoming increasingly rare around the U.S., and while there were still some old and/or local programming on other channels (for example, WJW had Big Chuck & Lil’ John, and WBNX brought The Ghoul back in 1998), none reveled in it like WAOH. I discovered the station in the summer of 1997. It was nothing earth-shaking, I was just flipping channels, when I came across an airing of a hugely battered old print of the original 1930 version of The Blue Angel. No one else was running things like that, not on local TV at least, and from then on, I was hooked. 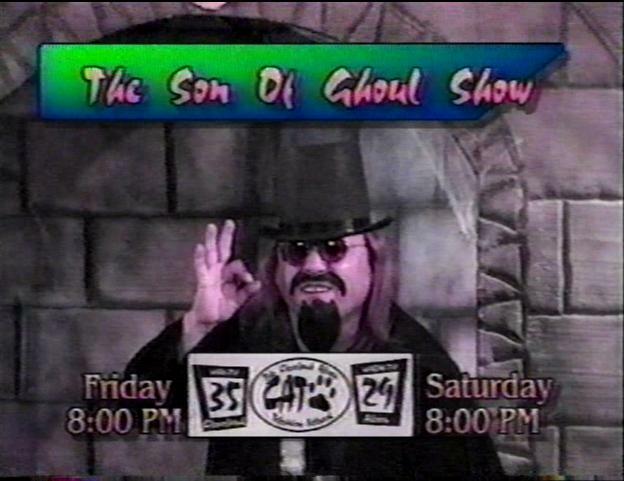 Of course, probably the most popular show then (and now) , and certainly my favorite on the channel, was The Son Of Ghoul Show. Like Ghoulardi and The Ghoul before him, Son Of Ghoul ran old movies, inserted humorous sound effects/drop-ins, performed comedy skits, and read viewer mail. As I’ve mentioned before, SOG started on WOAC TV-67 in 1986, and in 1995 he moved to The Cat. Those screencaps above are from my two earliest SOG Cat promos. The one on the left is a silent still-card promo that ran for 10 seconds, so what you see is what it was. The one on the right features the standard SOG-pitch: He mentions the show and the awful movies they run. It’s an all-around promo, and SOG did more than a few for The Cat over the years. Most of them say basically the same thing, but I mean, they’re supposed to. I actually didn’t discover SOG right away. I mean, I saw the promos, sure (The Cat tended to run the same promos a LOT), and I had seen bits and pieces of the show here and there, mostly in passing, but it was Halloween 1997 that I actually sat down and watched the show. I stumbled across an airing of the original Night Of The Living Dead, which I had never seen before. Even with all of the sound effects and jokes (it took me a minute to realize what they were doing, but I immediately loved it), I seriously dug the movie, and I became an instant SOG fan. I even wrote him a bunch of letters, and his reading them on the air was always a thing of great excitement. Of course, I was only like 11/12 years old, so I never had much to actually say (and watching my old tapes, I can’t help but cringe a bit). Today, Son Of Ghoul is still running, and I’m still watching. That screencap above is from the latest promo for the show that I’ve seen. I captured it in 2011, but I think it’s been running since 2009, and I know it’s ran several times since 2011. The reason I say 2009 is because that’s when The Cat became an RTV affiliate, and SOG’s timeslot switched to Saturday evenings at 7:00 PM. 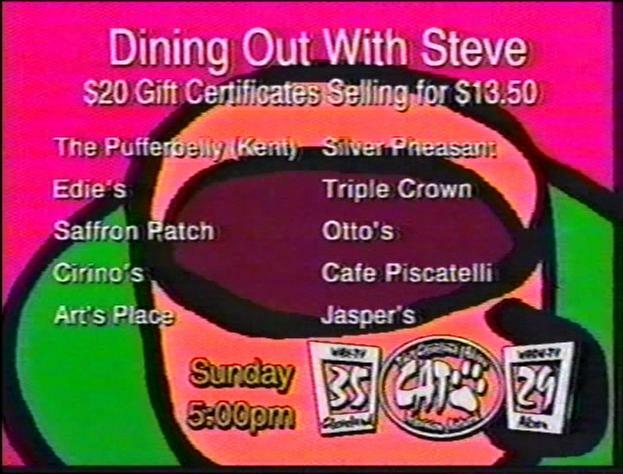 The promo is, like the one above, a standard SOG pitch: talking about the awful movies, humorous sound clips, and comedy skits, with the exception that SOG mentions the new timeslot “starting in June,” which was when The Cat became RTV (though I still continue to call it The Cat, and always will). Despite the June mention, this is the only promo I’ve seen the station run for SOG relatively lately. Probably because most of the vast majority of content is RTV’s, and they have their own promos and whatnot. But, you do catch some locally-produced promos here and there. 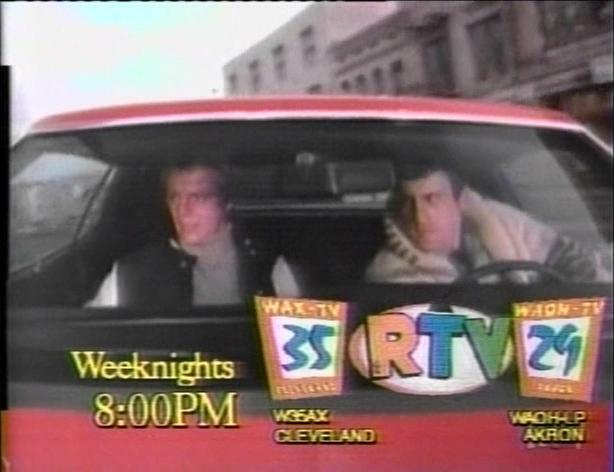 I don’t think they run quite as much as they used to, but there were some WAOH-produced spots for RTV shows, which I’ll get to in a bit. Speaking of local promos for syndicated content, that sort of thing isn’t new to the station. The screencap on the left is from 1997, the one on the right from 1999. 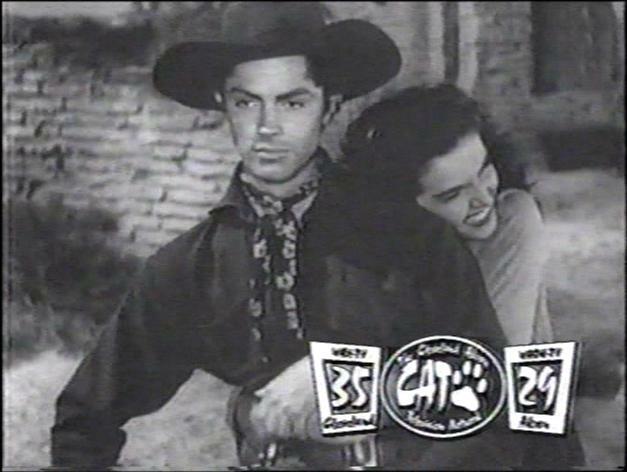 Both are for the western movies that the channel ran every weekday afternoon (and on Saturday afternoons for awhile, and if I recall correctly, occasionally on Sundays, too). Both promos are more or less the same: various scenes from old westerns, while appropriate music plays. The afternoon Western flick was actually America One’s “Western Theater,” and I loved it. It’s thanks to these films that I became a fan of westerns. You didn’t tune into this program to see The Shootist, though; these were all old rickety “B-Westerns”, mostly from the 1930’s and 1940’s. Probably all of them were/are in the public domain. You saw the standards like Roy Rogers, John Wayne’s poverty row films, Hoot Gibson, Ken Maynard, Rex Bell, etc. etc. Speaking of films, through America One, The Cat ran a lot of them. This promo is from 1999, and spotlights just how many they play a week. Even back then, the claim of “over 40 films a week” seemed just a bit high to me, but they did play a lot. There was a morning movie that began at 10 or 11 AM, and ran for an hour and a half, the western at 12:30 PM, which also ran for an hour and a half, then the noon movie at 2 PM, which ran for 2 hours. At 8 PM, there was another 2-hour movie. The overnight hours generally featured content from the American Independent Network (AIN), and, if I recall correctly, was two 2-hour films in a row. The weekends were a wildcard. I have a recording of three consecutive westerns from a Saturday afternoon in the late-90’s, but that wasn’t always the case. There could be one, maybe two, or maybe none. Sundays generally had less than that or none altogether, and didn’t necessarily have to be a western (I once taped The Tonto Kid, obviously a western, on a Sunday, but my copies of Goliath And The Vampires and Monster From A Prehistoric Planet, clearly not westerns, also came from Sunday airings). I don’t know, maybe over 40 films a weeks wasn’t so far off after all. Most of the films were from America One, but there were a few that the station itself seemed to own itself. Every Halloween, they’d run Night Of The Living Dead, the most scratched up and battered print you’ve ever seen. 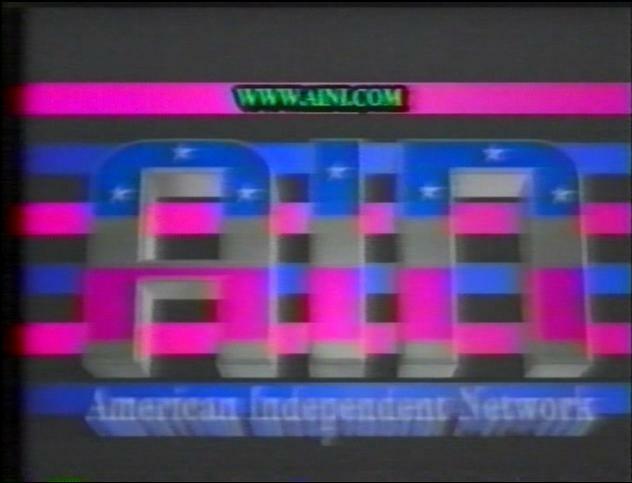 Since none of the A1 branding was present during these annual airings, I’m guessing the station owned it’s own print. For Christmas Eve, they’d run the 1935 Scrooge and then Beyond Tomorrow back-to-back, commercial-free. I still have a recording of Scrooge, but not Beyond Tomorrow. 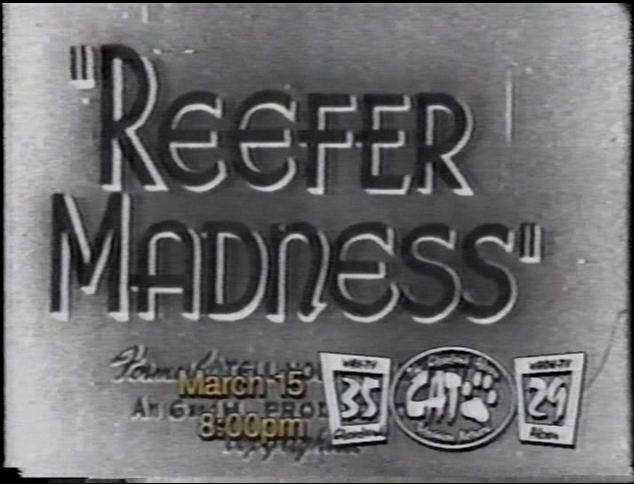 A movie that received some actual promotion was their 1999 airing of the infamous Reefer Madness. I taped it, but later taped over it. I don’t recall if it was an A1 presentation or not. A1 films generally weren’t singled out for promos like this, but I don’t know, maybe they thought there was a specific audience for this? They had various clips on-hand for the promo, and the local announcer that did all of The Cat’s promos did the voiceover here, too. or maybe the clips were provided by A1? Either way, I may not have the actual airing, but at least I managed to capture the original promo. 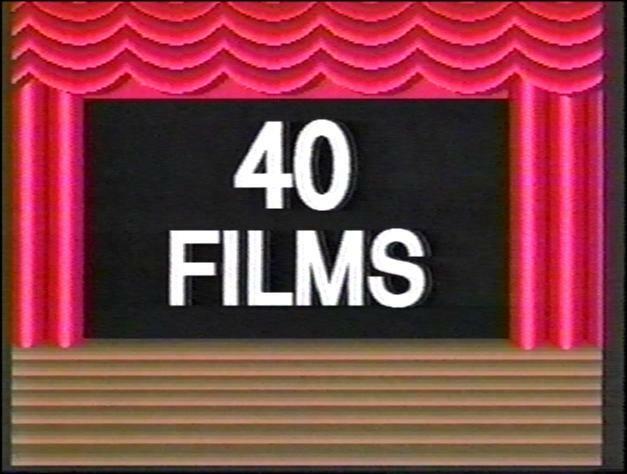 Sprinkled throughout all of these movies were lots of old TV programs. The early mornings typically had old black and white sitcoms before the morning movie, The Cisco Kid once ran before the afternoon western, and Dobie Gillis followed the 2 PM afternoon movie. 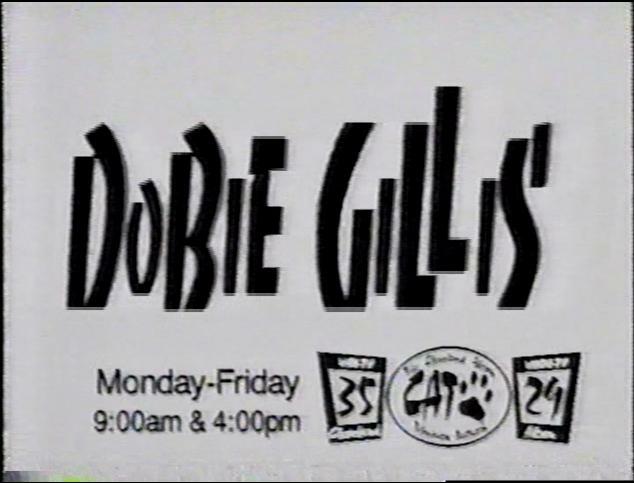 At one point, there was a fairly big push for the Dobie Gillis reruns (big for The Cat at least). They were all humorous, such as the one above. There were a couple “Dear Maynard” spots, always featuring someone writing in to Maynard ala Dear Abby, and then Maynard’s “advice” (a clip from the show taken out of context, which was really pretty funny since it was essentially a non-sequitur moment). There were also promos playing up Bob Denver’s then-recent arrest for marijuana, Dobie’s father’s strictness, and Dobie’s falling for every girl under the sun. Dobie ran until about 1999, and since I had grown accustomed to watching the 4:00 PM weekday airings after school, I found myself missing it once it was gone. TV Land ran episodes now and then, and nowadays you can catch it on MeTV, but those old Cat airings probably mean the most to me. Even today, I still really like the show. One Step Beyond I watched a few times, but it never really grabbed me. Sort of a lower-rent version of The Twilight Zone. While I like old sitcoms, The Adventures Of Ozzie And Harriet was never one of my favorites. WAOH’s promo for it, though, was awesome. This was when V-Chips were first being widely introduced, and the gag was that Ozzie was V-Chip-free TV, but all of the clips had words bleeped out as if there was constant swearing in the show. It was a riot. As you can see from that and the Dobie promos, The Cat often put a lot of humor into their spots. Two more I never liked. 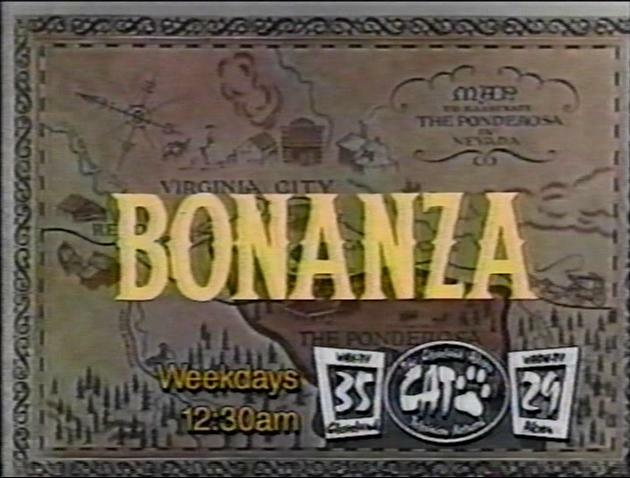 Bonanza, I know it’s considered a classic, but I’ve always been a Gunsmoke man. 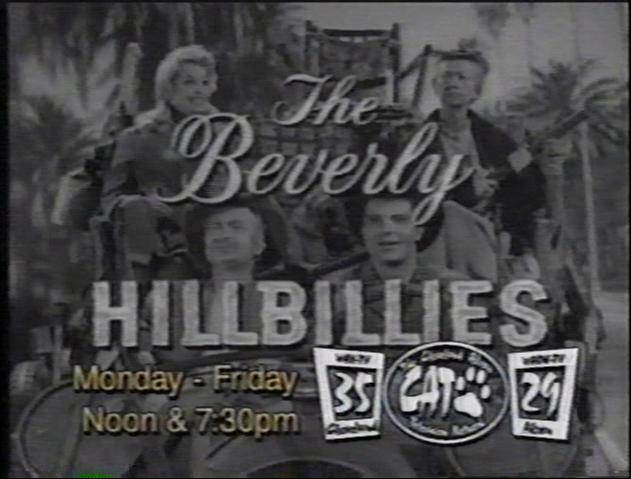 Also, The Beverly Hillbillies has always left me cold. Still, The Cat did a great job of selling these promos, mostly through humor, and if I already didn’t like them, I probably would have tuned in to check them out. And of course, Enigma Theater With Edward St. Pe’, which I’ve already written about, aired very late Saturday nights/Sunday mornings on WAOH, though it seems very, very few people remember it nowadays. I mentioned above the overnight airings being from the American Independent Network. A lot of the same movies as America One were shown, but the print’s weren’t the same. AIN even ran some of genuine “big time” movies once in awhile. Once, they played the original 1939 Stagecoach, which I taped. Despite having never seen the film prior, I could tell huge chunks of the movie were cut out; Stagecoach was just way too disjointed, way more than any film widely considered an American classic would be. I later taped over that airing with a unedited version from AMC, and I kinda wish I hadn’t done that, because in retrospect, film’s of that caliber (i.e. big-time, never-gonna-be-public-domain) weren’t usually shown on The Cat. This was a fairly minor problem with the daytime programming, but the overnight schedule was notorious (to me, at least) for rarely being correct. It was often a crapshoot whether a scheduled movie would actually be run, or an entirely different film instead. Many times, there was a movie listed that I was seriously stoked for, and I’d set the VCR timer, only to be crushed come the morning when I found out something I had zero interest in was played instead. 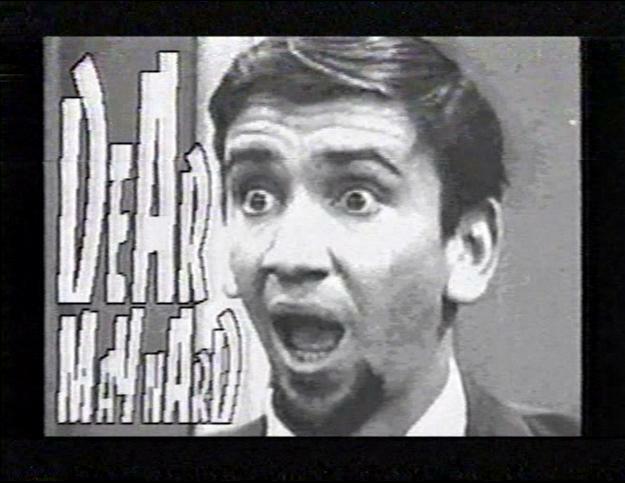 Rather, a lot of WAOH’s late night programming was often made up of content from who-knows-where. I mean, nothing ever adult, or actually disturbing, but still, waaaay obscure stuff from the far reaches of the U.S. I haven’t always had the greatest sleep patterns, and I recall sometimes stumbling out of bed and watching The Cat when I couldn’t sleep, and wondering “Where did this come from?” Have you ever heard David Cronenberg’s inspiration for Videodrome? When he was a kid living in Canada, late at night his TV could pick up signals from Buffalo, NY, and he’d worry he’d be able to see something he wasn’t meant to. It was the same sort of thing with late night WAOH. Of course, at the heart of The Cat was the local programming. Son Of Ghoul, sure, but also a lot of stuff that’s been more or less lost to time. 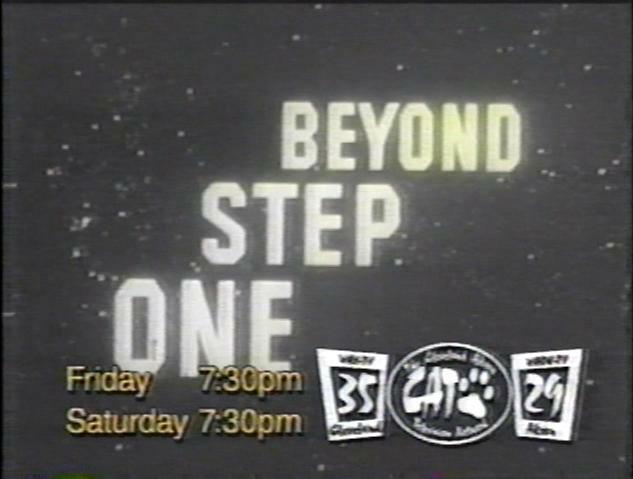 A lot of The Cat’s local programming was simple, live call-in shows, with the host or hosts seated in front of a plain black screen and taking phonecalls. Today, the only show from the old days left besides Son of Ghoul is Steve French Sportstalk and Handy Randy. Of boy, two of the dullest shows you could imagine. Back Talk was exactly that, chiropractic talk. And Senior Talk? Well, that was what it sounds like, too. 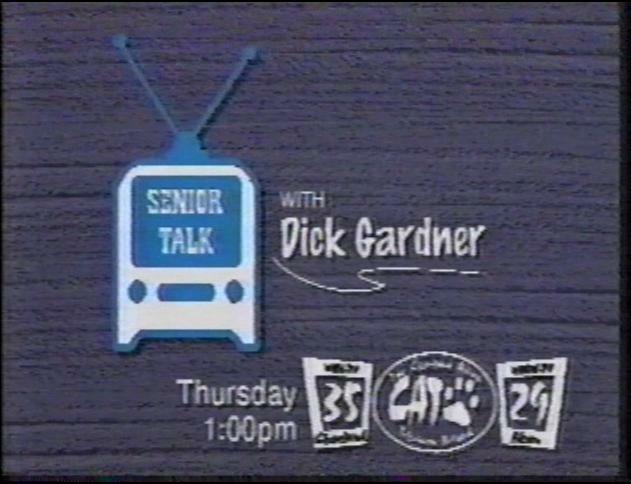 Back Talk I don’t recall running very long, but Senior Talk ran for a number of years, at least until 2006. It may have been a casualty of the 2009 switch to RTV, I don’t know. Dining Out With Steve ran for a looong time. I believe it did last until the 2009 switch. Basically, you could call in, talk about local restaurants, and even get gift certificates. 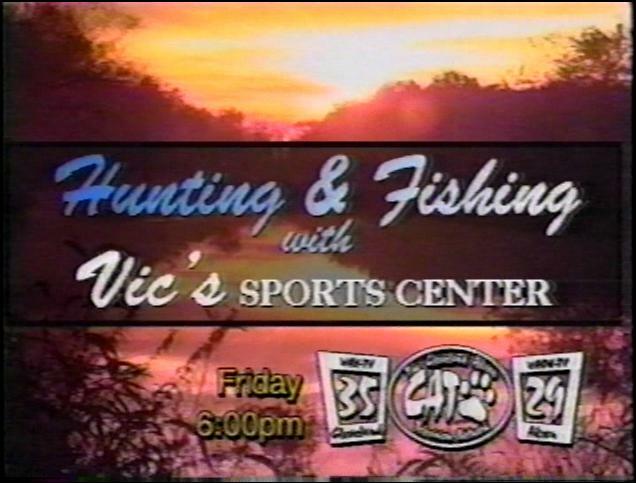 The Hunting And Fishing Show ran for a number of years, and in the summer of 2011 they even tried bringing it back, but it didn’t last very long. Big Al was very short-lived. It was essentially people performing in a karaoke bar, and hosted by the show’s namesake. 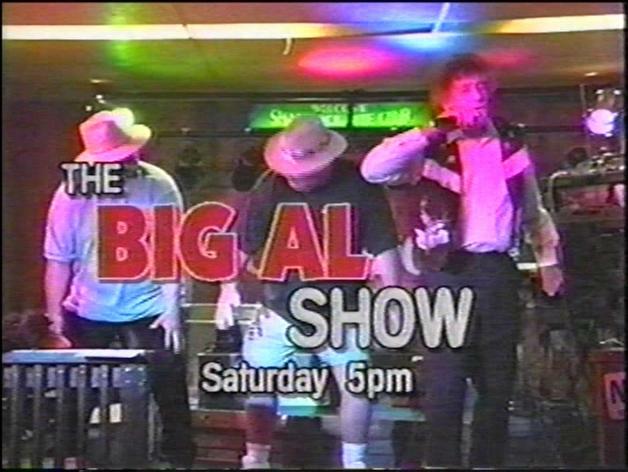 I only caught one episode, which featured a bizarre Elvis impersonator that admittedly did sound a lot like The King, but didn’t look much like him at all (despite Al’s constant insisting the guy was “so real it’s scary!” or something to that effect). 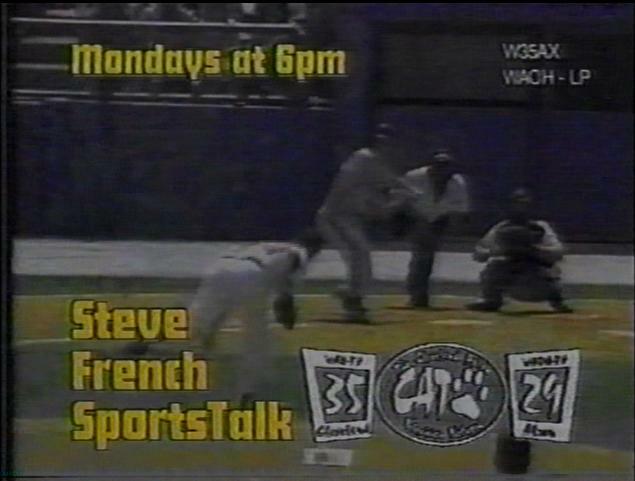 I don’t know when Steve French started hosting his WAOH show, but it’s still on, and apparently still pretty popular. I even tried calling in a few weeks back, but I didn’t get through, which is probably a good thing, since I’m by no means a sports expert and the last thing I need is to make an idiot of myself on local TV. 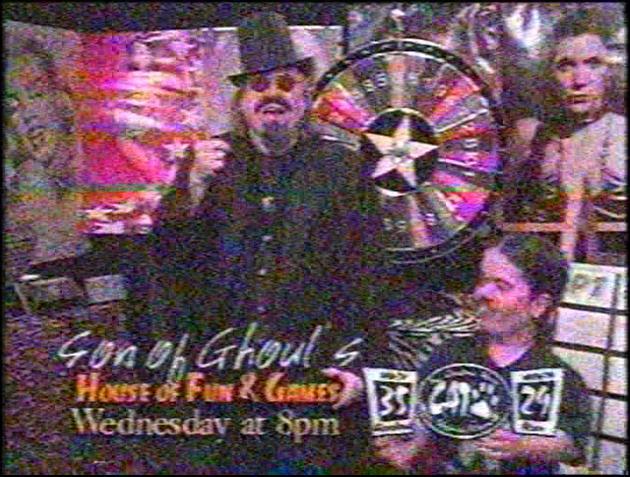 While on the subject of the local call-in shows, SOG hosted a live game show from about 2001 to 2004 or so. 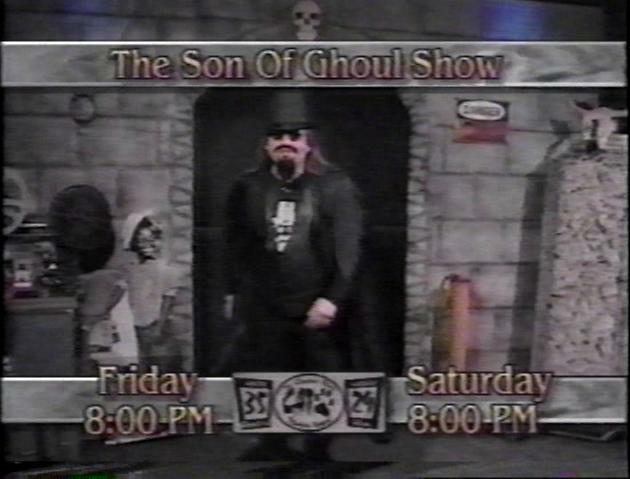 Unfortunately, this promo is all I have as far as original recordings go (I did buy some DVDs from SOG himself at the last Ghoulardifest convention). Son of Ghoul’s House Of Fun & Games ran at a time when I actually couldn’t watch The Cat. Y’see, the station was so low power that we couldn’t pick it up with the rabbit ears dad decided to use to save money. I wouldn’t even have this promo except I went to grandma’s house one afternoon to tape a movie I particularly wanted back in 2001. So, that’s my “golden age” of WAOH/WAX, roughly 1997-2001. Like I’ve mentioned, they became an RTV (Retro Television) affiliate in the summer of 2009. Since Son Of Ghoul survived the switch, I was generally okay with it, though I missed some of the old movies or other assorted America One content. Still, RTV was pretty cool. A lot like old school TV Land. A line-up shift in the summer of 2011 took away most of my favorite programs, though there are still a few shows I like, and Wolfman Mac’s Chiller Drive-In on Saturday nights and Off Beat Cinema on Sunday nights is pretty awesome. 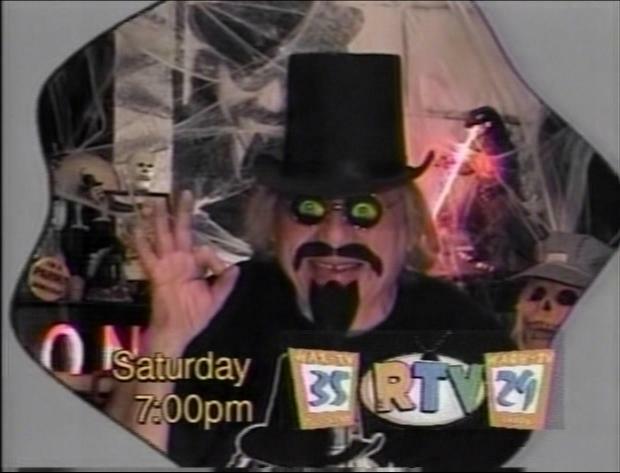 To end this post (aka massive article), here’s a few screencaps from locally produced promos for RTV content, which harkens back to the late-90’s era I so findly recall. All of the modern promos are simply scenes/music taken from the opening credits of the respective series, with appropriate logos and voiceover. Unfortunately, no promos for Airwolf or Quincy, M.E. were ever made, and RTV no longer runs them, much to my chagrin. Neither of these are run anymore. Knight Rider is legit awesome, and I don’t mind The A-Team in small doses. 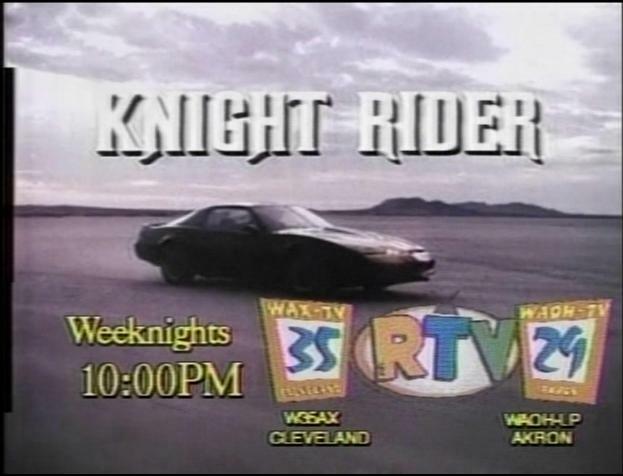 Knight Rider in particular I really miss. You’d better believe Magnum, P.I. gets two screencaps. Of all the shows that left the RTV schedule in the summer of 2011, this is the one I miss most. I’ve mentioned before what I big fan of the show I am, and while I’ve got the DVDs, it’s still nice to see Magnum being actually aired on TV, even if the broadcasts were a loooong way from DVD quality. As of this writing, no one, at least not in my area, is playing the show, and THAT, my friends, is major uncool. Highway To Heaven is still being aired on RTV, but Starsky & Hutch is not. I don’t like either show. Starsky & Hutch, in particular, is a show I want to like, I should like, but I really, really don’t like. It’s just never done anything for me. 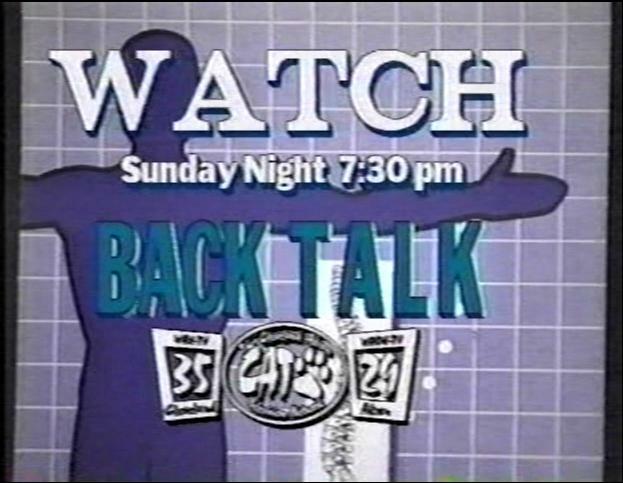 So, there’s my long, long overview of WAOH TV-29/WAX TV-35. There’s more I could talk about, but man, this post is a beast as it is. It’s not what it used to be, but I’m glad the station is still around, and that they’re still supporting Son of Ghoul. As of this writing, I’m not too big on RTV’s programming line-up (aside from Wolfman Mac & Off Beat Cinema), but if RTV keeps WAOH/WAX alive, I’m all for it. Better to have some semblance of The Cat than none at all, right? This entry was posted in Uncategorized and tagged 19, 29, 3, 35, 43, 5, 55, 61, 8, ad, advertisement, akron, article, bumper, channel, cleveland, commercial, independent, indie, local, network, northeast ohio, promo, review, station, teaser, television, the cat, tv, tv 3, tv-19, tv-29, tv-35, tv-43, tv-5, tv-55, tv-61, tv-67, tv-8, waoh, wax, wbnx, wclq, WEWS, wjw, wkyc, WOAC, woio, wuab on May 1, 2013 by neovideohunter. I tuned into WAX35 tonight at 7PM to enjoy SOG. SOG replaced by Jerry Lewis and Dean Martin? Has SOG been moved to a different time or eliminated from schedule? Hi, yes I noticed that too, but no worries, SOG is on now (I’ve got him on as we speak). It just took them several minutes to switch their feed (?) from RetroTV to local programming. I’ve noticed they’ve had this problem in the past as well (SOG’s St. Patrick’s Day show, for example), though it definitely took longer than usual tonight. The station must be having further difficulties besides that, though, because tonight’s show is an exact repeat of last week: the Flash Gordon flick “Mars Attacks The World”. That’s a relief for all SOG viewers. Cherish this programming for it is rare. Hi, this was a cool article! We had channels like this in Chicago. We still have a local version of ME TV called ME TOO, they show a lot of good old shows that I guess they only have local rights to and can’t show on the nationwide channel. Very cool thing is that just recently put ME TOO on the analog channel 23 which was where ME TV got its start before going national. It is real analog, old tv, are your two stations still only analog or have they went digital to? All the channels I mentioned are also on digital subs of WCIU TV. If you would like to view all the schedules go to wciu.com and click on the schedule for each station. There are 5 in all, 26.1 The U, 26.2 The U TOO, 26.3 is ME TV(national), 26.4 is ME TOO(local), which is also on analog ch 23, and 26.5 BOUNCE TV. You mentioned Magnum, do you have an NBC owned station there. COZY TV is another old tv and movie channels which is owned by NBC. Are regular NBC station is 5.1 and COZY is 5.2(also on cable but, no analog stations. If you can get COZI they run blocks of Magnum 1or 2 days a week. I love watching the analog tv with no cable or convertor box 😉 I hope your station combo is still on old fashioned TV, I will be near Cleveland next month and I love bring my little tiny black and white and watching that way, I’m a nostalgia geek lol. Thanks for writing this, I was just searching the channels and your article is in external references on Wikipedia. Cool stuff, have a good one! Tommy in Chicago. Thanks very much for the compliments! I definitely appreciate them! As far as I know, WAOH & WAX are still analog, though Son Of Ghoul told me at Ghoulardifest 2012 they’re supposed to go digital, so I expect that transition at some point down the road. For the time being, I *believe* you can still tune them in with an old school antenna, provided you’re in range, which sadly, I’m not. I get MeTV, RTV, and Antenna TV via Time Warner Cable. If there’s any others, I haven’t come across them yet. Unfortunately, COZY isn’t in our area, but I sure wish it was; from how I understand it, they have a terrific line-up. 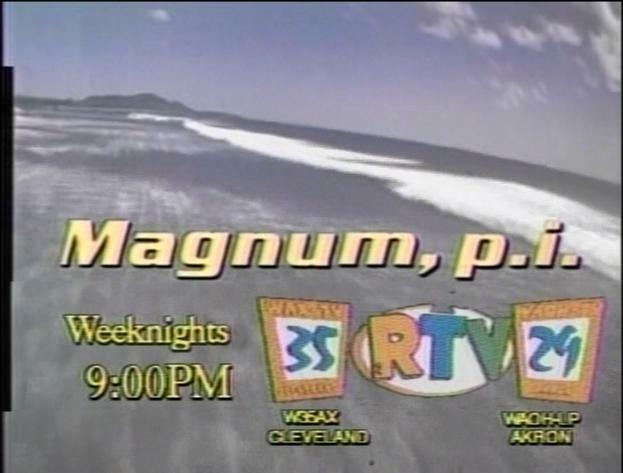 Magnum is on Encore Classic, which IS available to us, though I don’t receive ANY of those channels (I can’t justify paying for channels I know I’ll never watch). Thanks again for reading and the compliments! Channel 35 was a big deal for me too. I discovered it in high school my freshman year. A punk band I was in would rehearse on Friday and Saturday nights and would watch Son of Ghoul. The B-movie schtick was perfectly reminiscent of the Ramones and Misfits, so we loved it. Babewatch was also a big deal for me at age 14 with no Internet. A fascinating, detailed look at one of Northeast Ohio’s oddest little TV stations. You don’t mention that WAOH/W35AX are TV sister stations of Akron talk radio station WNIR/100.1, or that Mr. French is that radio station’s long-time sports director/morning co-host. Can’t pick ’em up Monday at 6, but I assume Steve’s still in that dark room with a phone on the table. I believe the 29/35 “studio”, such as it is, is actually at the transmitter site, on Rt. 43 at I-76 along with WNIR’s tower.. I used to own the old style TV antenna with the unit that I could turn it to point in a certain direction & I could sometimes pull in The Cat station. I even have a somewhat snowy looking broadcast VHS recordering of The Son Of The Ghoul which features heavily the late “Fidge”.